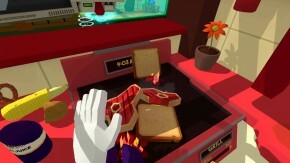 The Vive had a few titles that drew a large amount of attention such as Job Simulator, which put the player in the life of a simulation run by robots after humanity has become obsolete. This game launched with four different 'jobs' to choose from, including Office Worker, Car Mechanic, Gourmet Chef, and Store Clerk. These are made to be hilariously untrue renditions of jobs that are considered 'run-of-the-mill' today. Players don't actually have to follow the instructions given by the supporting character 'Job-Bot'. For example, when told to give a gift to a coworker, you can choose to give them anything you can pick up in your office, from anything from to a stapler to a fellow employee's glasses. The possibilities are nearly endless. While this isn't the game that will keep you playing hour after hour, day after day, it is a good introduction to the world of VR and all of its capabilities. Job Simulator has everything contained in its own setup area so you don't have to break the illusion. On a similar note, the Vive isn't exactly a plug and play system. There have been reports of setup taking anywhere from 2-6 hours with as many as 5 trips to a hardware store. The box comes with all of the wires and such and even has a special adapter in case you only have 1 HDMI port. There are two sensors that need to be placed in an area that is clear of furniture and such, along with the 2 controllers, and the headset itself. All of these go into a special box that transfers the power and information into USB to go into your computer. VR is something that many people want to experience, so I would have to recommend finding an event to try them out. 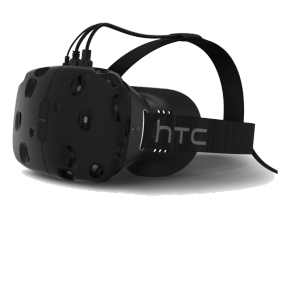 That is if you aren't willing to shell out the cash for the Vive's fairly expensive price tag. Coming in at nearly 800$ USD, it is tied with the entire GameMaker Collection for the most expensive item on Steam. Another limiting factor for this would be the power of your home computer. If you don't own a machine that can run VR, then the entire thing isn't entirely useful. It would probably make a fairly decent paper weight, as it comes with so many parts, but I'm not sure how often this would be needed. 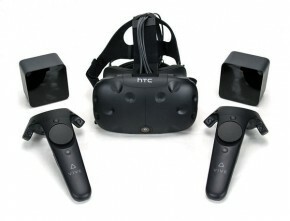 All of this aside, I feel that the Vive is a purchase that is worth the price tag. With the huge influx of VR games that have been coming out on steam, you shouldn't fail to find that 'new flavor' that most gamers continually search for. There is another side to the Vive that isn't just games. There is a program called Tiltbrush that has been a flagship title for the Vive which allows users to create art in a 3 dimensional space. This allows for people to add true depth to their works, and they can view it from any angle as they move around their art. It seems to stay suspended in midair opening the possibility for many high detail still shots that can be rendered in a 3D space. There is a large variety of different brushes and colors available to the artist, and the selection tool is extremely intuitive, acting as a hand-held easel for one of the controllers. Overall I feel that the Vive is actually still worth the price tag, at least in terms of the places it will go as compared to the places it is currently. One of the major selling points to me is that developing games for this console (is it technically a console???) is fairly simple once you can design in 3D space. The games can be made through Unity and Unreal, as well as steams own dev kit which requires joining Steamworks as a Developer. 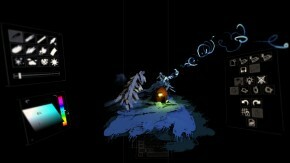 The unity plugin allows for extremely easy access to the development kits.